It’s pretty much inevitable that you’ve found something you want that’s not available in whatever country you live in, and even though you really want it, the prospect of international shipping, duties, and other import fees has you thinking maybe…. no. This makes a gift certificate a fantastic gift—you’ll probably still have to pay those fees when the order arrives, but at least you didn’t pay for the ingredients as well. Most of us get started with inexpensive scales from Amazon, but if you’re looking to up your game, check out the scales from places like Lotion Crafter. 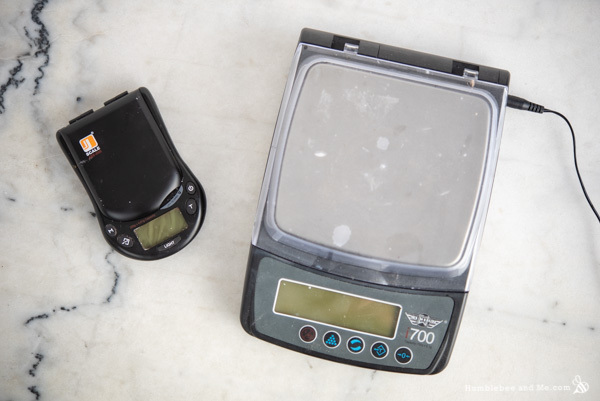 Their scales are undoubtedly more expensive, but they tend to register faster (no more waiting for 0.5g before any numbers show up), last longer, and have features like no auto shut off. Make sure you are looking at the increment and the maximum weight; I have a scale from them that does 0.1g increments with a maximum weight of 700g, and while it is a pretty useful scale, 700g isn’t a very high maximum weight, especially if I’m working into a heavier bowl or a glass measuring cup. 700g also won’t be terribly useful for you if you’re a soap maker. I also have this little guy (0.01g x 200g) and I love it! 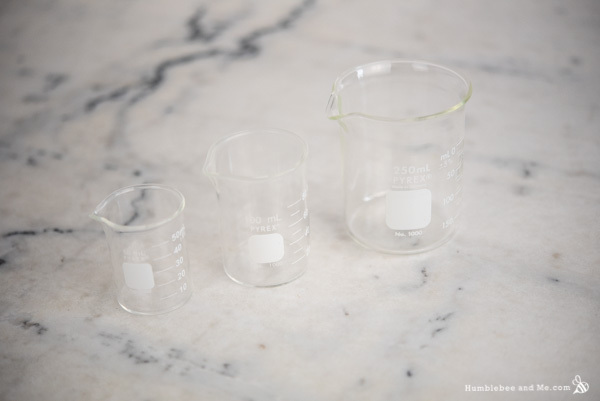 I love working with beakers more and more—they’re lighter than Pyrex measuring cups and come in smaller sizes, so they’re better suited to tiny batches of things. They also seriously amp up the “mad scientist” feeling! I love my wee little mixer from Lotion Crafter. It’s technically a Badger Air-Brush Co. 121 Paint Mixer, but whatever you call it, it is unbelievably useful. I’ve been using it a ton recently for liquid lipstick, foundation, and eyeliner experiments. It’s not well suited to higher viscosity products like lotion, but it is incredible for blending together small amounts of things—especially highly pigmented makeup-y things. 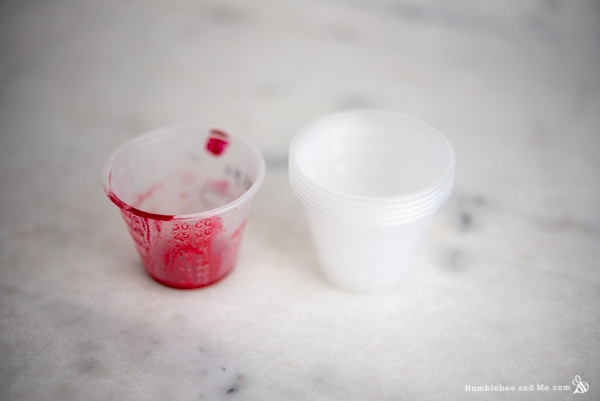 I got a 100 pack of these versatile little cups from Voyageur a couple years ago, and have only recently started using them to mix up highly pigmented liquid/cream makeup projects, and they are fantastic for that purpose. 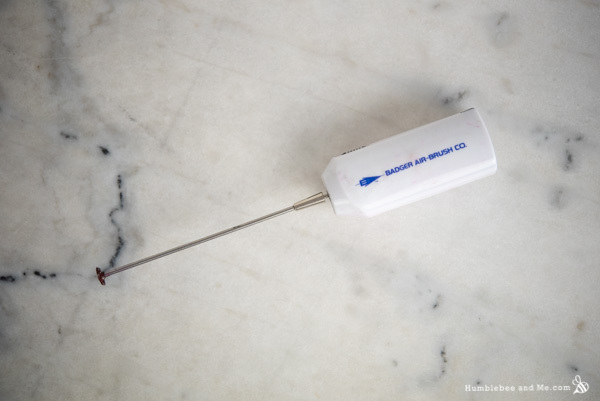 They are super light, so they’re compatible with high precision, low max weight scales. They’re durable. They’re inexpensive. They are small enough that you can make 2–3g batches of things in them and actually corner all the ingredients to mix them thoroughly (with the micromini mixer!). They are great if you like making cosmetics. Highly recommended! 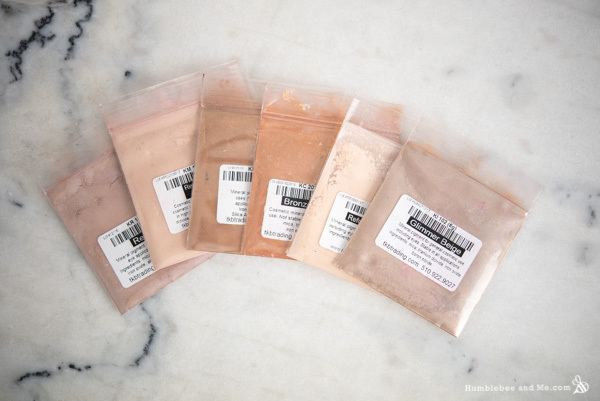 TKB Trading sells a selection of fantastic collections/sampler packs of different pigments, micas, and dyes, and they are great. No matter how many micas you have you’ll definitely find something you’re interested in trying. The sample size versions of the powdered products is more than enough to get a great feel for each colour and make a few things with them! This one is for the soap makers, of course! I don’t have one, but I’ve seen soap slicers like this single bar one or this multi bar one (both from Brambleberry) in action and they look incredible. Clean, smooth cuts that are utterly swoon-worthy. If you’re handy you could make one yourself (there’s plenty of tutorials online), or you could recruit one of your handy friends or family members to make you one to your specifications! 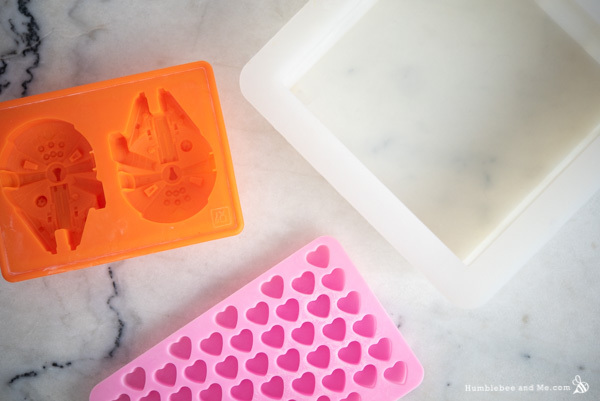 Novelty silicone molds can make a fun gift—there’s plenty of neat silicone ones on Amazon and AliExpress in addition to ones available from suppliers. I got a bunch of really fun and inexpensive ones off AliExpress a couple years ago—just be aware of the free shipping timeline! I placed my orders in early November. Some arrived before Christmas, some arrived in April! I’ve been having tons of fun decorating my packaging with bits of colourful washi tape this year. DIYers typically end up buying a dozen or more identical tubes or bottles at a time, and that can get a bit boring (and confusing if you don’t label things straight away!). 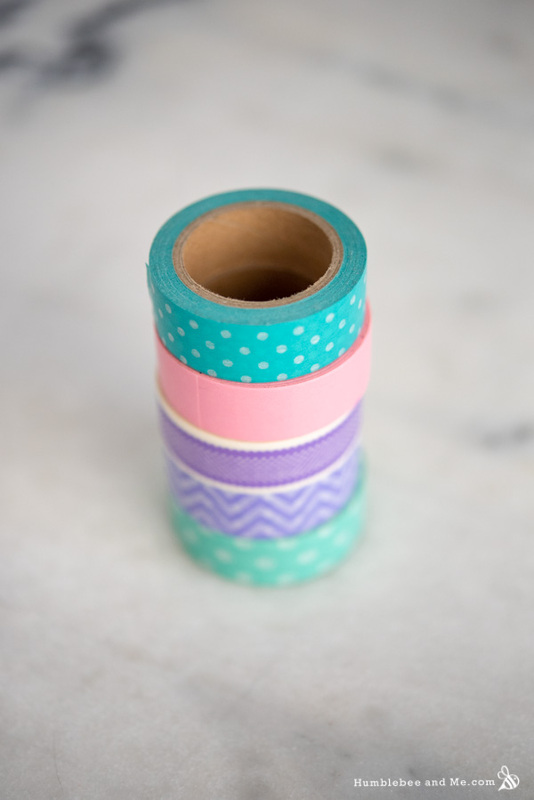 I’ll wrap my tin or tube with some washi tape and then put a piece of the same tape next to the recipe in my DIY notebook so I have a visual clue (along with an actual written label!) to tie together the physical product and my notes. I also find this really helpful for opaque containers that are harder to label, like lipstick tubes. If you use essential oils, this book is fantastic. It contains an incredible wealth of information (including maximum usage rates) about every essential oil you could imagine, but at at least $80USD it’s the sort of thing you might shy away from buying yourself. I recommend getting the digital copy so you can use the search function to look for keywords about 1000x faster than flipping through all 784 pages. Need even more ideas? Check out the 2016 edition of this list! This year I’ve asked Santa for a magnetic stirrer… I do not yet know how well it will work, but the prospect of having one more free hand while mixing things was very appealing. And… hey, even if it does not work as I wish, at least it is a fun, novel and cool looking gift! Nice! I have one, too, they’re pretty handy! I never knew you could get macro lenses for a smartphone. I may have to treat myself. Which scale do you recommend if you want it to go over 700g but measures in really small increments? The link goes to numerous scales and wasn’t sure which you would choose. I’m afraid I don’t have a personal recommendation at this point; I’ve had a few 0.1g scales that go up to 2kg but they rarely last more than a year. I recently bought a fantastic scale from http://www.canadianweigh.com. The price was very reasonable and they offered free shipping. Susan from Point of Interest mentioned them in an old post so I thought I’d give it a shot. I highly recommend them! Mini Pro mixer for the win!!!! I love it! Especially for bottle mixing. I love your suggestion for the gift certificates! Truly, the only kind of gift certificates that one should be gifted as a present! PS: I love your Star Wars themed mould! Did you ever make something in it? Ooooooh so I just got a dremel and poached an attachment from a different less-awesome mixer for it and I cannot wait to play with it! Of course the soap cutters are absolutely amazing! When making lots of soap and big batches, using a knife for cutting the loaves is no longer an option. Looking forward to a what-to-give-for-Christmas-as-a-DIYer-ideas article haha! Thank you! I think one of my favourite guilty pleasures on YouTube is watching people slice loaves of soap with those big slicers—SWOON!